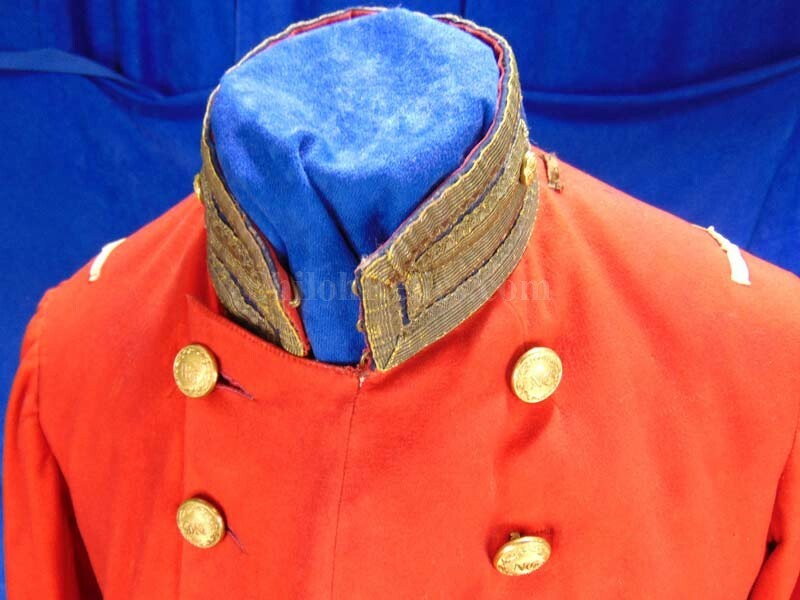 Here is your opportunity to own a beautiful displaying state of Pennsylvania militia coat from just before the Civil War. 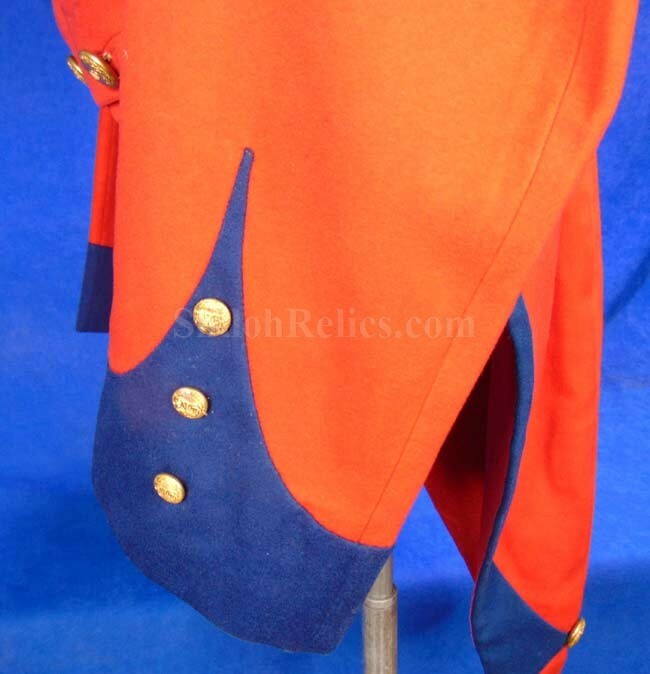 This is one of the beautiful coatee uniforms that were worn by New England state militias before the Civil War. 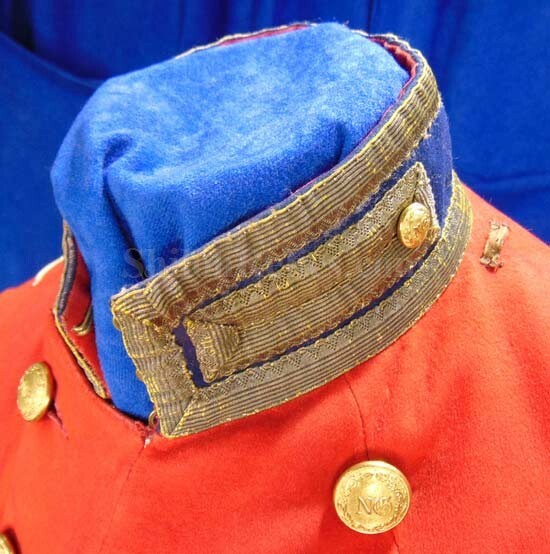 This one was used by the state of Pennsylvania, as is evident by the Pennsylvania "NG" uniform buttons adorning the coat. 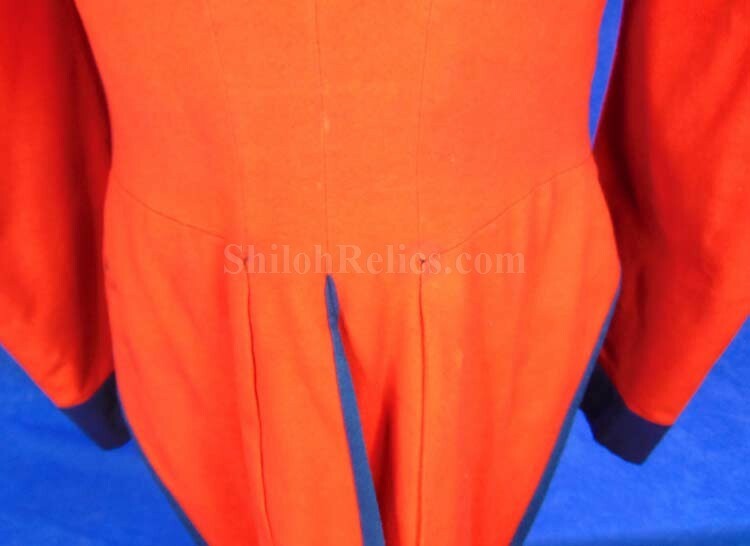 The front of the coat has the double rows of 16 buttons. 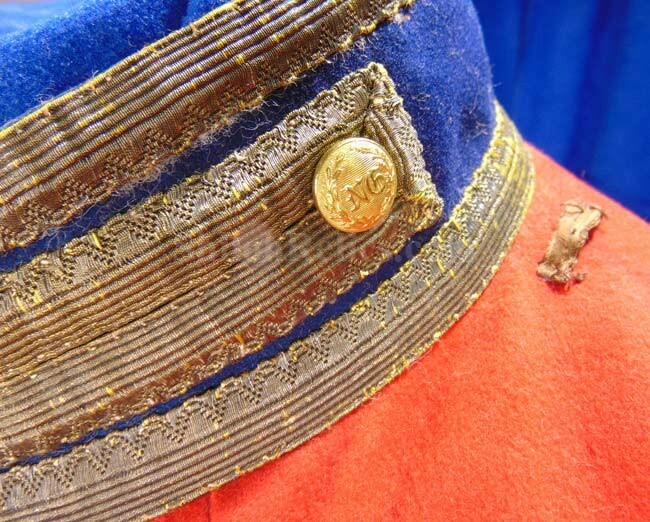 These buttons are the version that is listed as PA223b in Tice's button book. 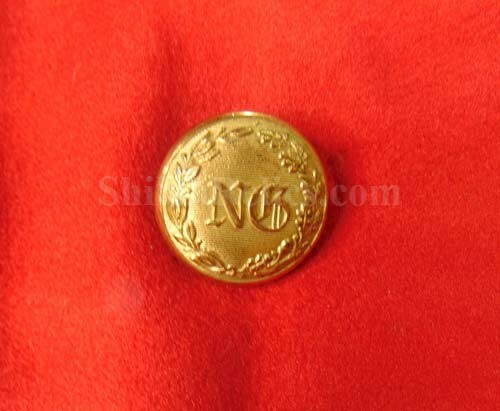 The buttons have the "NG" in the center with the wreath encircling the letters. 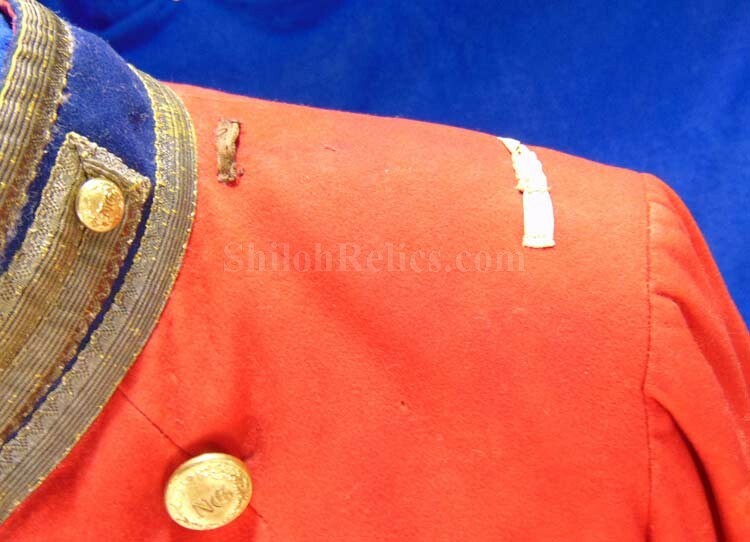 The buttons have the Civil War maker's marking from the Horstmann & Allien firm. 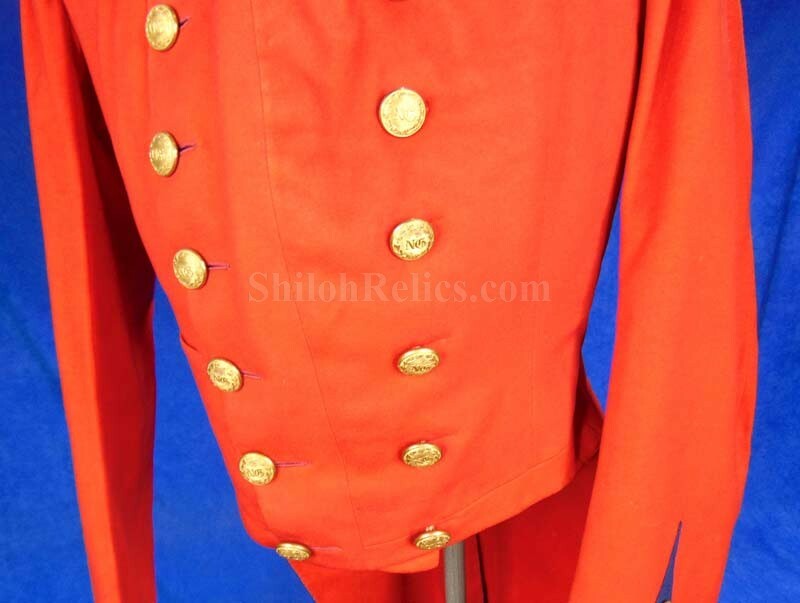 The cuffs of the coat have all 6 of the original cuffs size buttons intact. 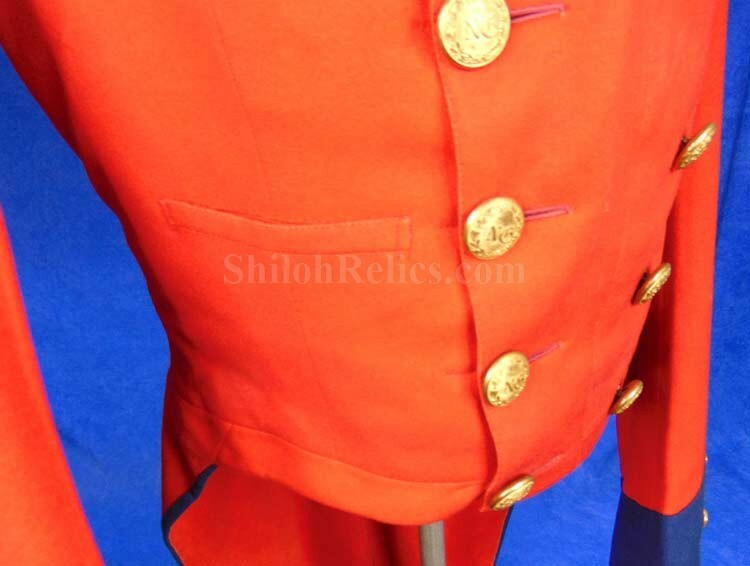 There are also 1 cuff size button on each side of the collar. 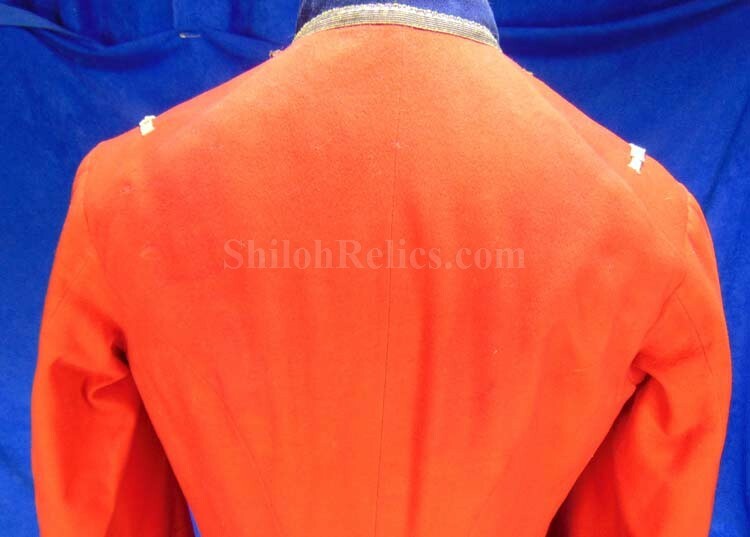 The reverse of the coat has 2 of the original 4 buttons intact. 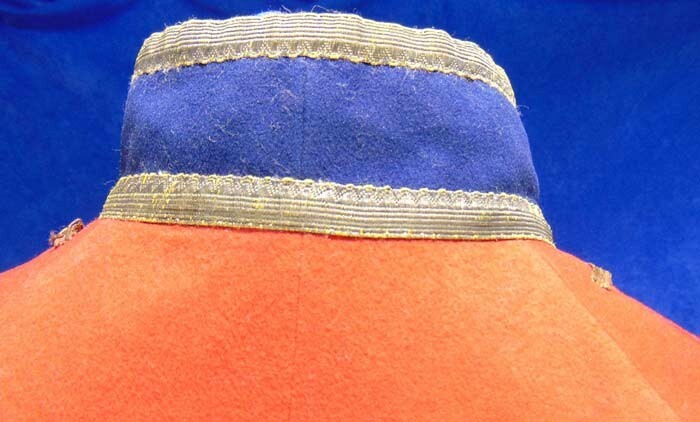 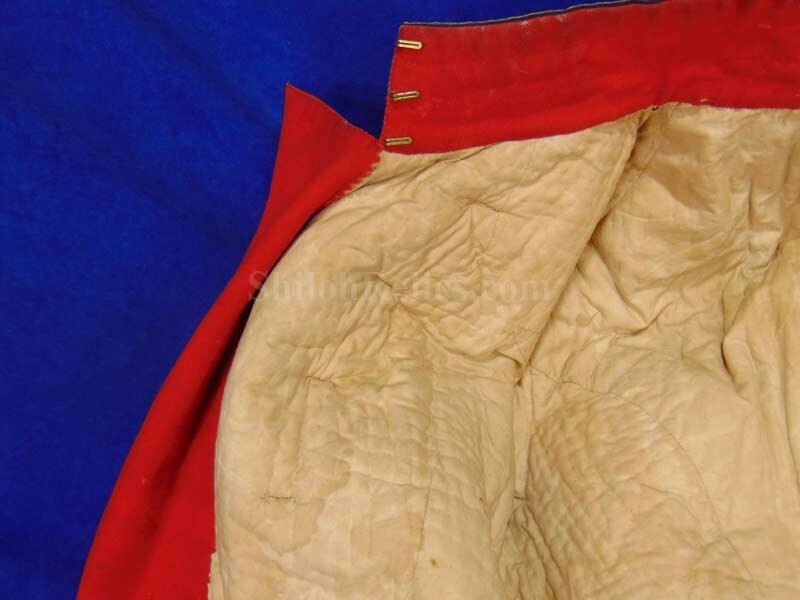 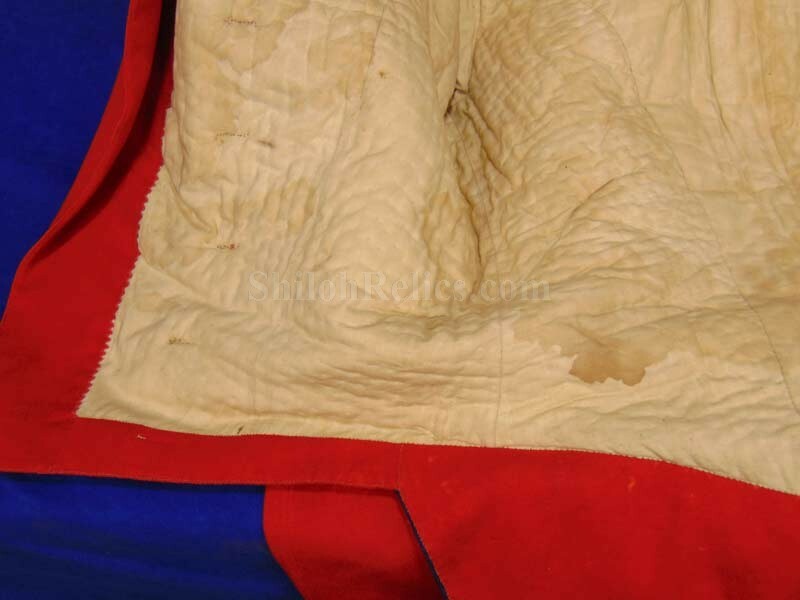 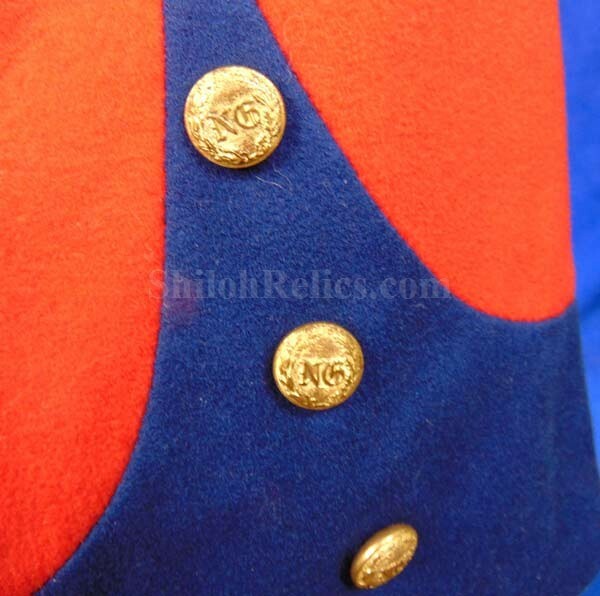 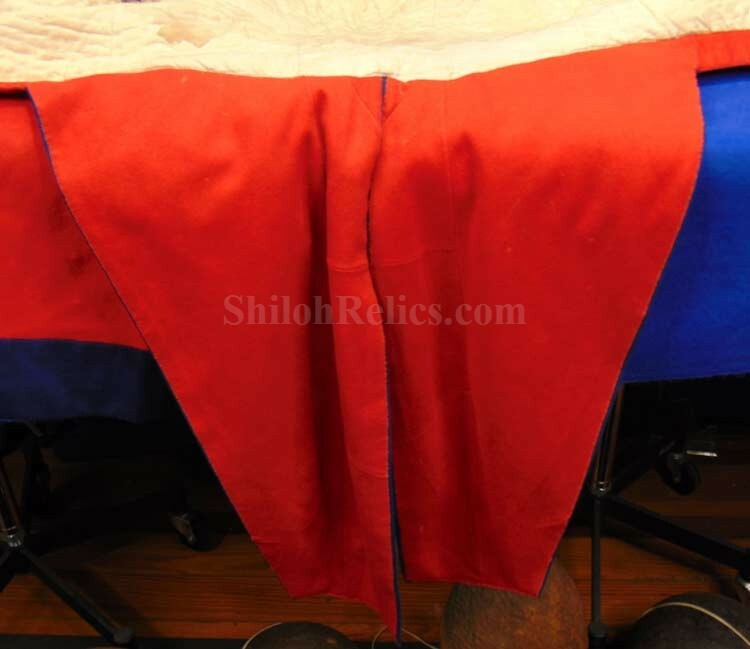 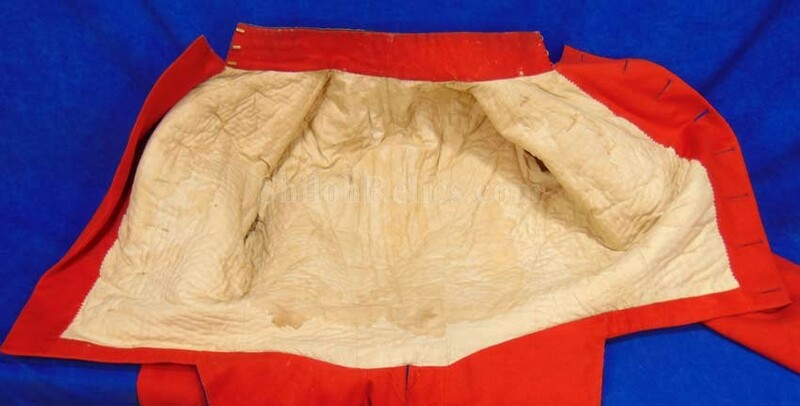 The cloth of the coat is a beautiful red wool material that is trimmed in gold, blue and white. 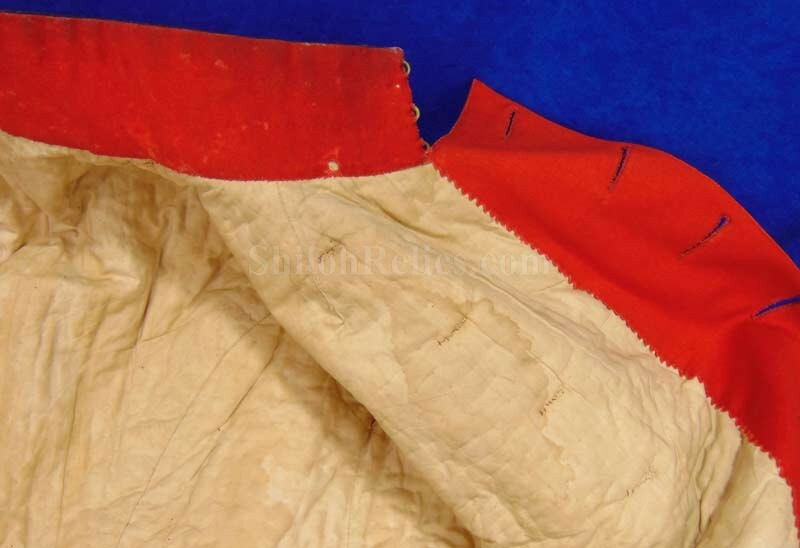 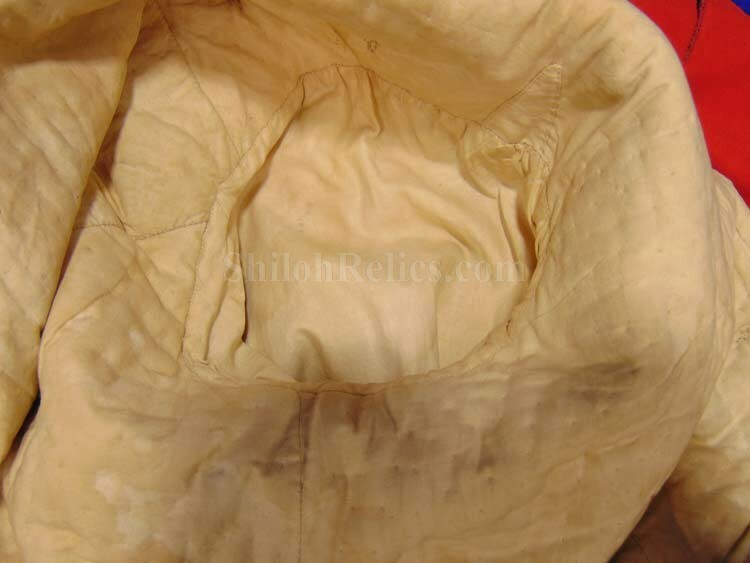 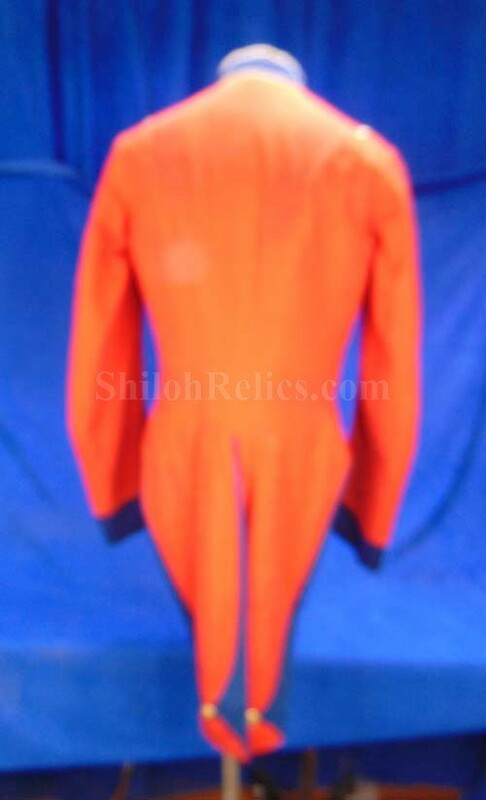 The lining of the coat as well, as the sleeves are still present with a nice aged milky tan color to the material. 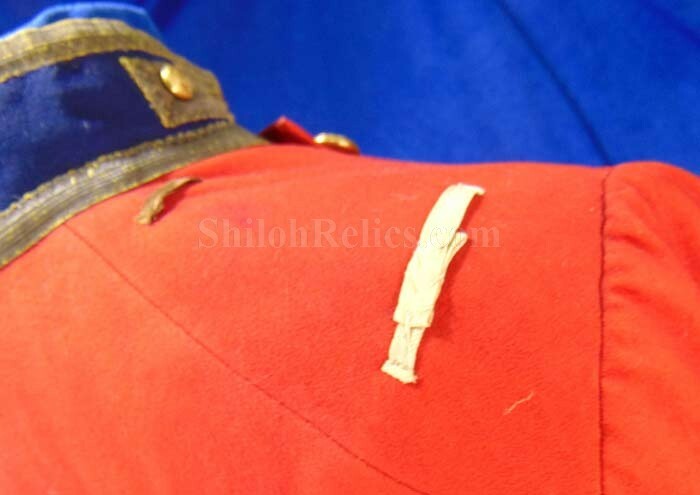 In the sleeve, it has the soldier's name that appears to be "B.H. 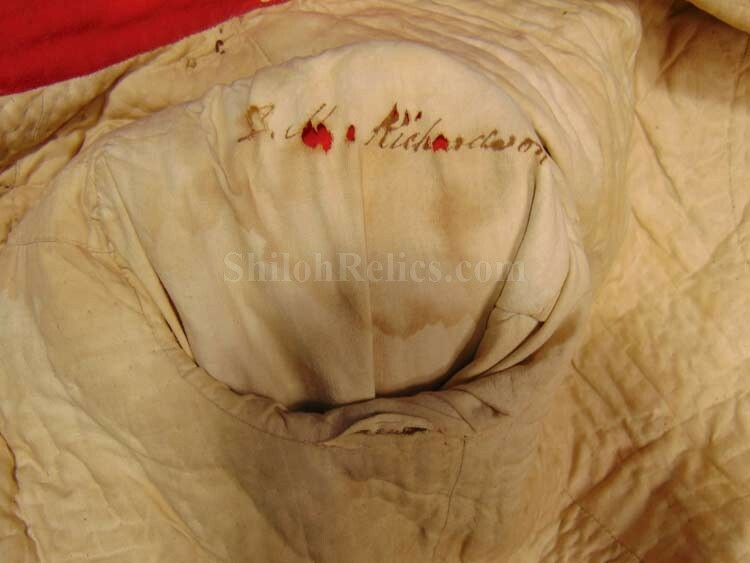 Richardson" written in old ink. 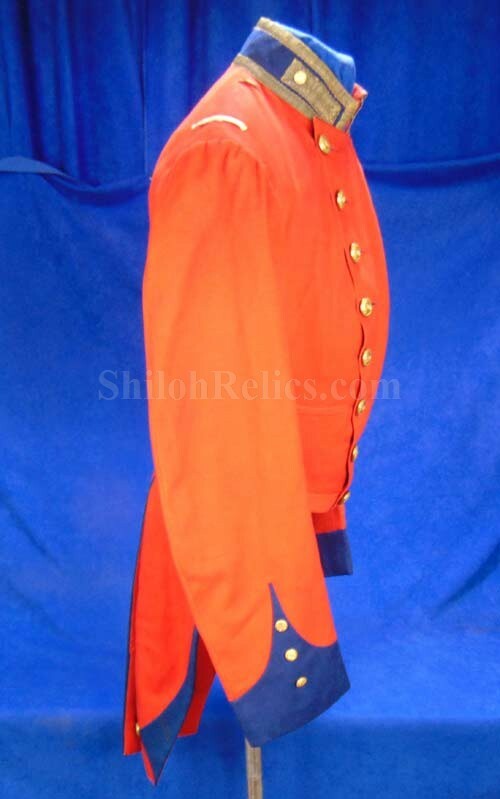 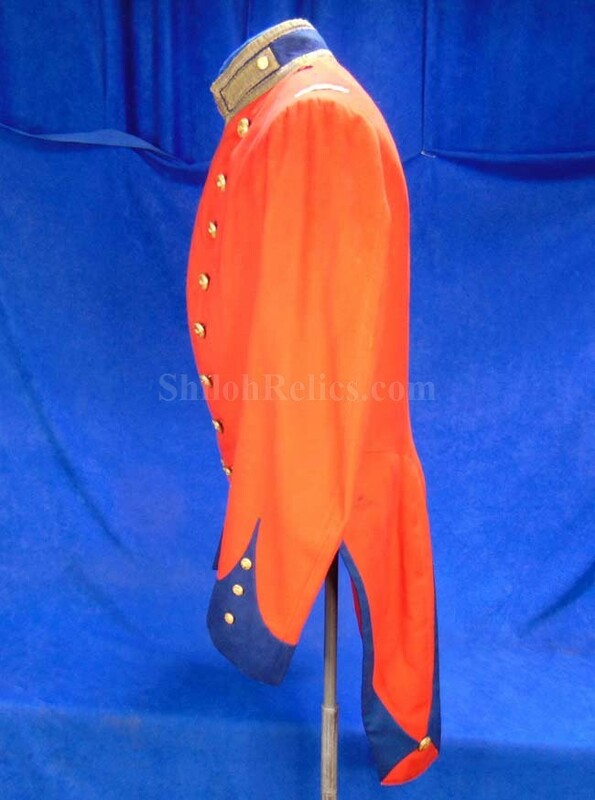 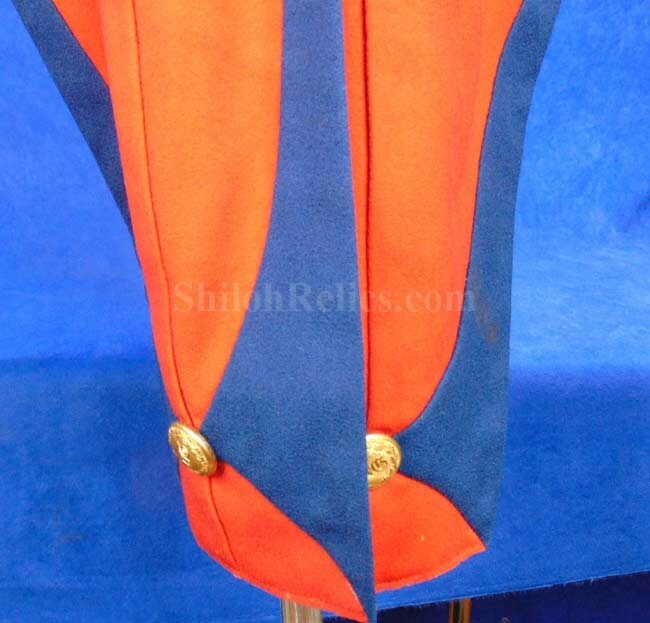 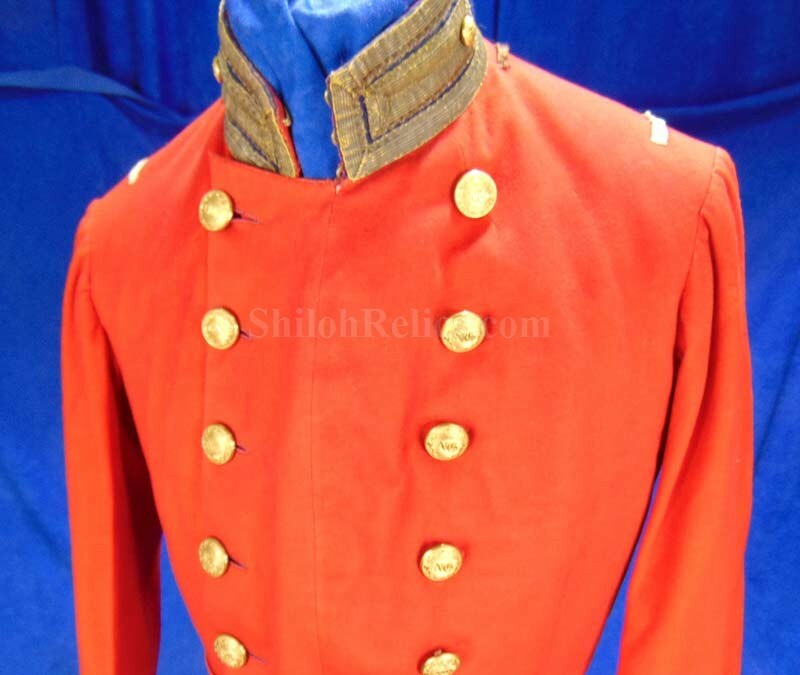 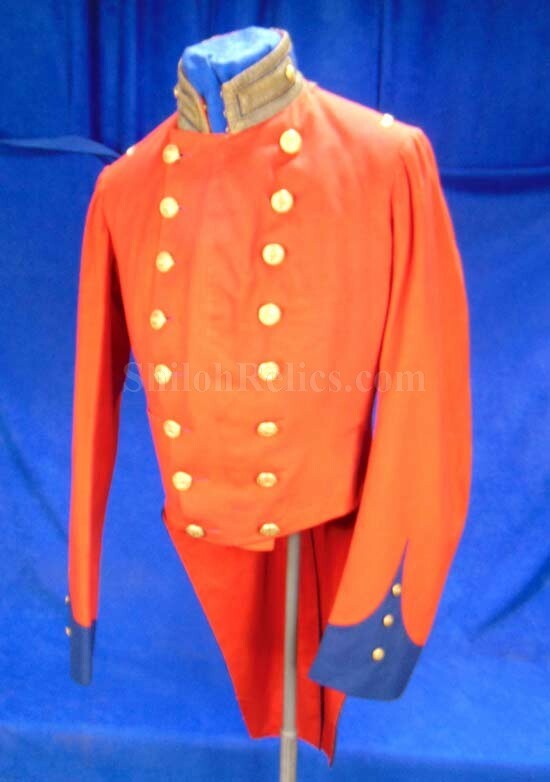 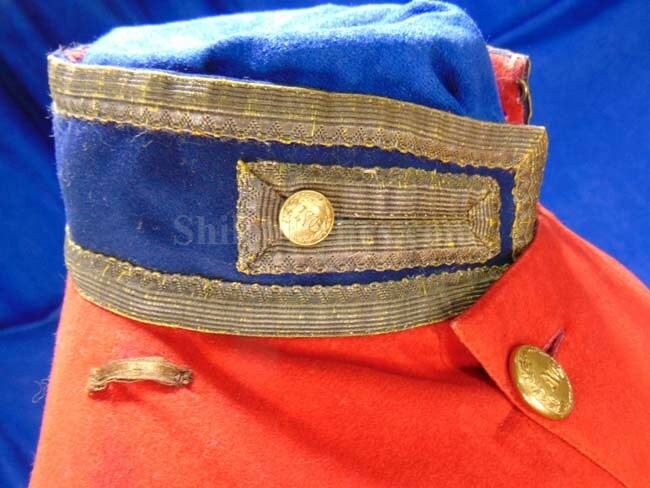 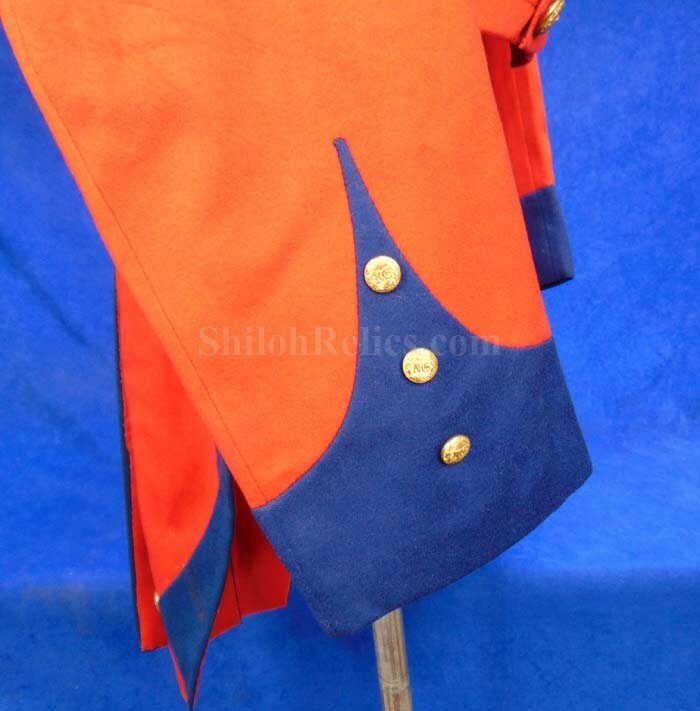 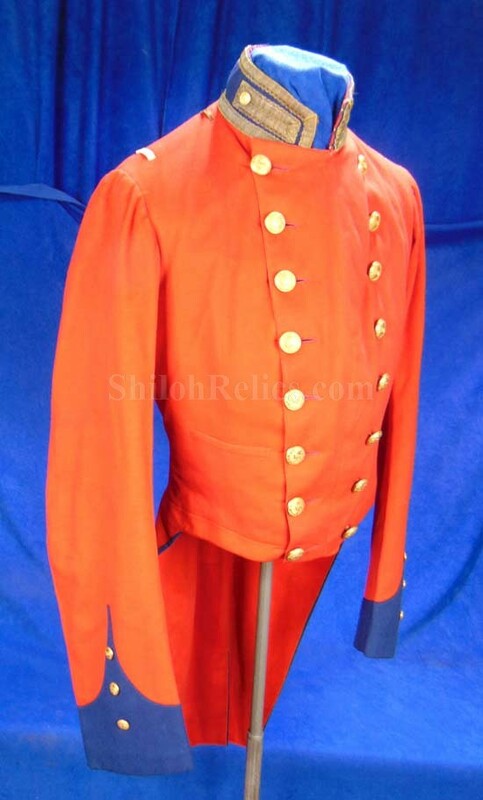 This is a spectacular looking original 1850s, Pennsylvania state militia uniform and it is possible to track down the name of the owner, but we will leave that for you.